Characters in Apex Legends aren’t just random skins — they’re fully-fledged heroes. Like Overwatch, each hero has their own unique personality, a whole bunch of exclusive customization (like quips, intros and finishers), and special abilities only that hero can use. Each hero starts their game with a passive power, a tactical power, and an Ultimate. 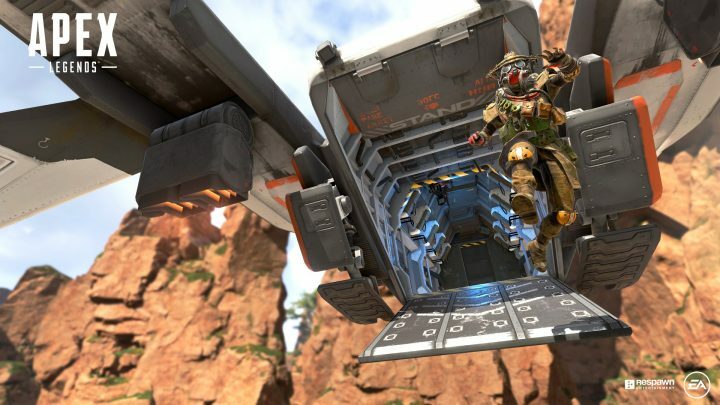 Learning how to use those powers to help your team and come out on top is what makes Apex Legends unique in the Battle Royale genre. I’m going to break down all the heroes and their abilities in the guide below. I’m sure there are going to be some absolutely killer combos suave teams will be able to concoct as time goes on, but we’re still learning the ropes — if you’re curious and want to see what makes these heroes unique, what class each hero fills, and all the ultimate abilities you’ll be able to unleash on your unsuspecting opponents, you’ve come to the right place. After downloading Apex Legends, you’ll start with six heroes. You’ll be able to unlock more heroes using in-game currency, or Premium currency. Each extra hero, or “Legend” costs 12,000 Legend Points, or 750 AC — about $7.50. Ultimate: Beast of the Hunt – Transform into the ultimate hunter. Enhances your senses, allowing you to se cold tracks and move faster. Tactical: D.O.C. Heal Drone – The Drone of Compassion automatically heals those near it over time. Ultimate: Care Package – Call in a droppod full of high quality defensive gear. Tactical: Grappling Hook – Grapple to get to out-of-reach places quickly. Tactical: Into the Void – Reposition quickly through the safety of the ‘void’ space, avoiding all damage. Tactical: Psycho Out – Send out a holographic decoy to confuse the enemy.